The Journal of Public Policy publishes research papers on public policy issues concerning organizations, state and national governments. The journal aims to promote the significance of public policy and provide a forum for researchers across the world. 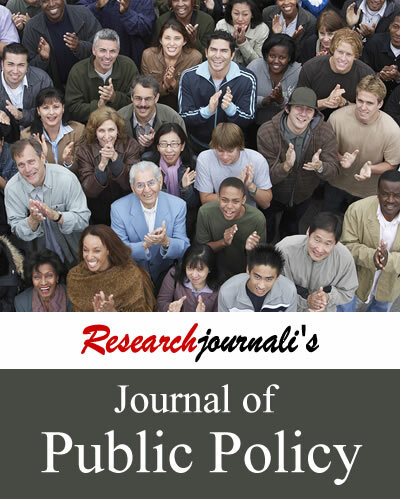 Researchjournali's Journal Of Public Policy (RJOPP) publishes research papers on public policy issues concerning organizations, state and national governments. The journal aims to promote the significance of public policy and provide a forum for researchers across the world. It promotes a dialogue between various interested groups and benefits a broad audience having interest in the field of public policy. It covers various disciplines and public policy issues involved in them.